Seven Mile Inn Vicinity, A60, Notts. 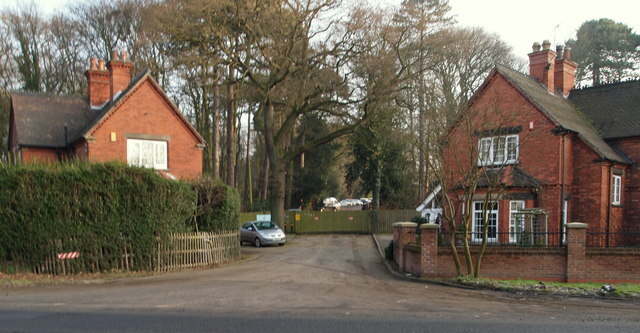 These two former lodges opposite the Seven Mile Inn are situated at the former entrance to a drive leading to Sherwood Lodge. The latter was demolished prior to the construction of the new (date tbc) police headquarters. This HQ is still known as Sherwood Lodge. The lodge on the right - a private residence - is dated 1895, whilst the other one - currently used by as a Police Federation local office - is dated 1903. As is immediately obvious there is no longer any access into or out of the police headquarters site onto Mansfield Road. Traffic passing immediately in front of these two properties is travelling towards Nottingham.